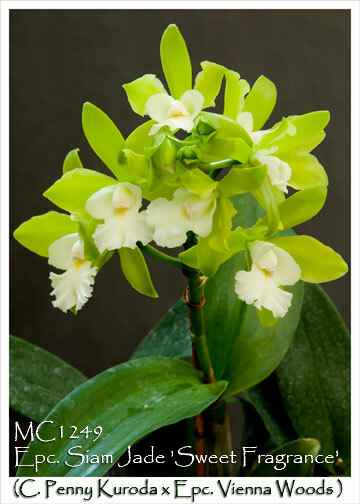 Vivid green, one of the more elusive colors in the orchid world, sets this Cattleya apart ! 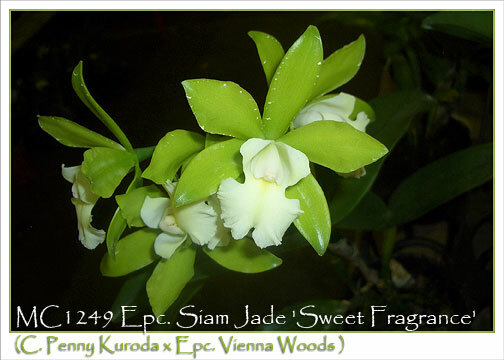 Its green comes from the pollen parent, Epc. 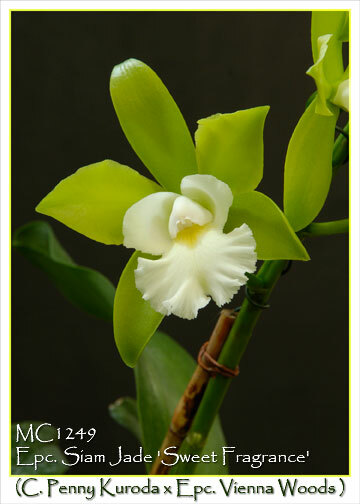 Vienna Woods, a primary hybrid of C. guttata alba and Enc. Mariae. 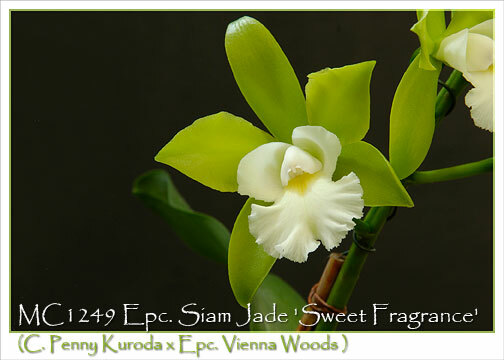 Bearing a lovely sweet fragrance, each flower is accented with a pristine white lip. 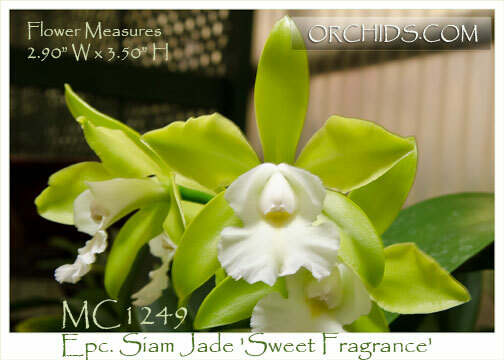 Capable of producing clusters of 6 or more 3.5” waxy flowers on each spike, it creates a long-lasting green treat. Highly Recommended !